Hey there, friends! I’ve got another printable for y’all today. 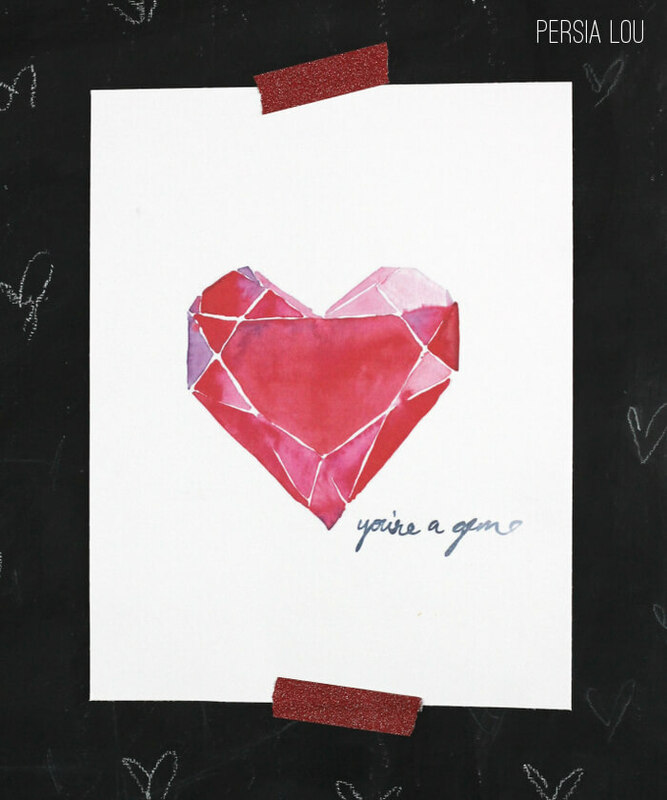 I have been playing around with watercolors a lot lately, and I had this idea for a heart gem painting. I’m pretty happy with the way it turned out. 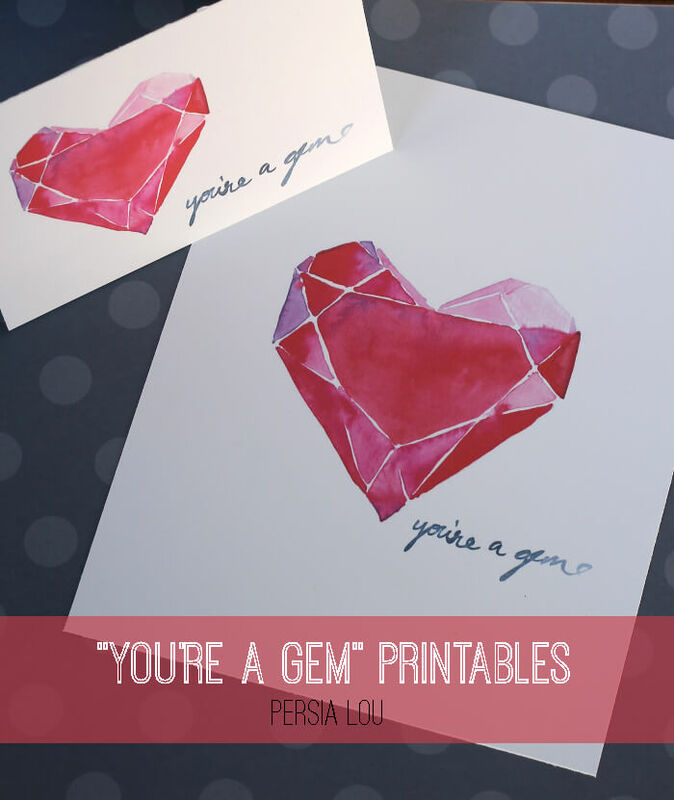 And I have another variation on the gem heart coming soon, so check back for that! 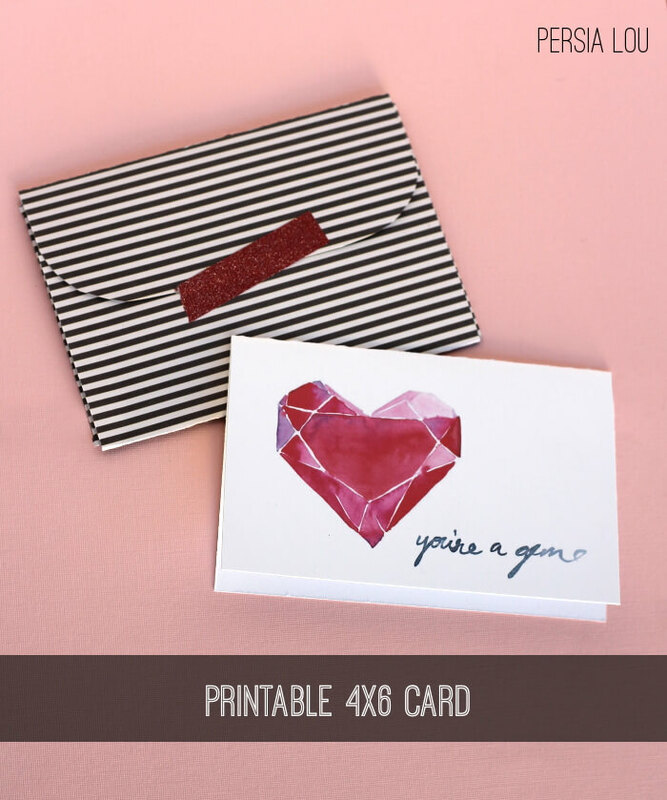 Or, get the 4×6 card to mail to your valentine. I whipped up a little envelope out of scrapbook paper to go with it. I was originally thinking of this as a Valentine’s post, but I like them so much that I think I would use them year round. Love is always in season, amiright? Downloads are free for personal use. Thanks, friends! 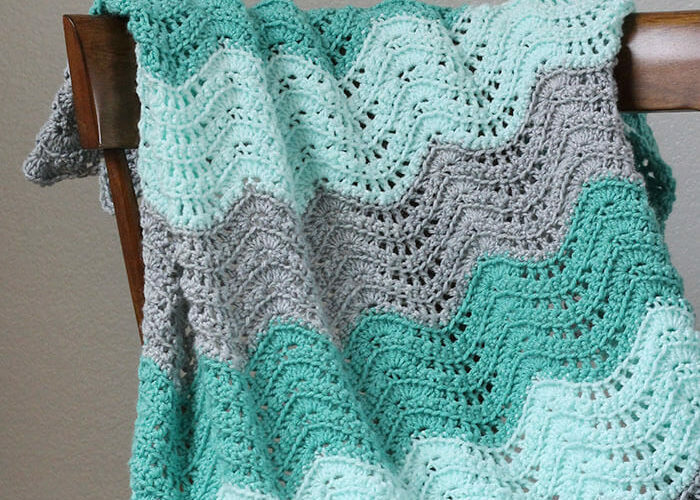 And hey – if you haven’t entered the giveaway from Alice Remembers yet, don’t miss it! Oh I love this! So pretty Alexis! Thanks for sharing! 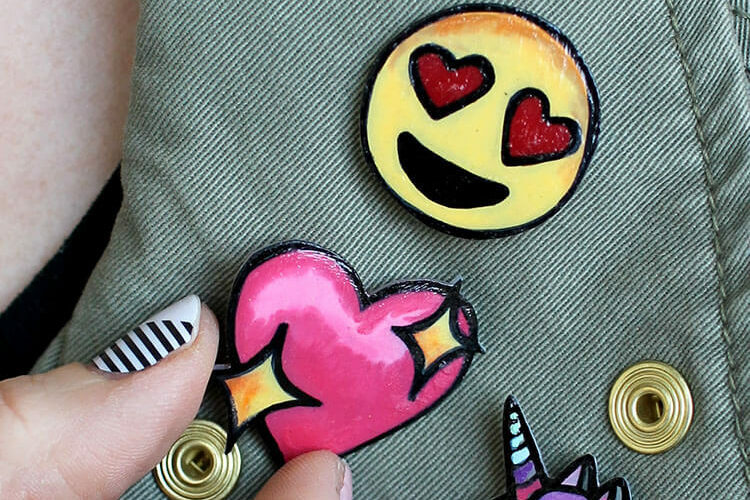 They are lovely and you are right, they could be used in all sorts of ways all year round. Thank you. GORGEOUS. Really really beautiful. Great job Alexis! Wow! You are very talented! Love these! Thank you for linking to the Weekend re-Treat Link Party. 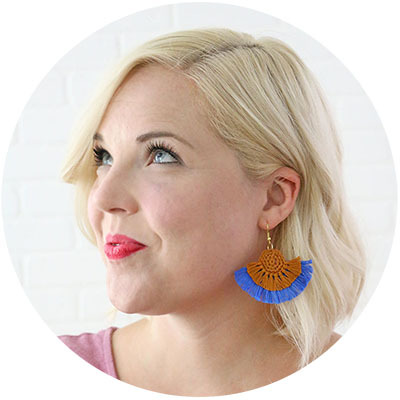 Wow these are gorgeous, thanks for the free printable! This is amaaaaazing! 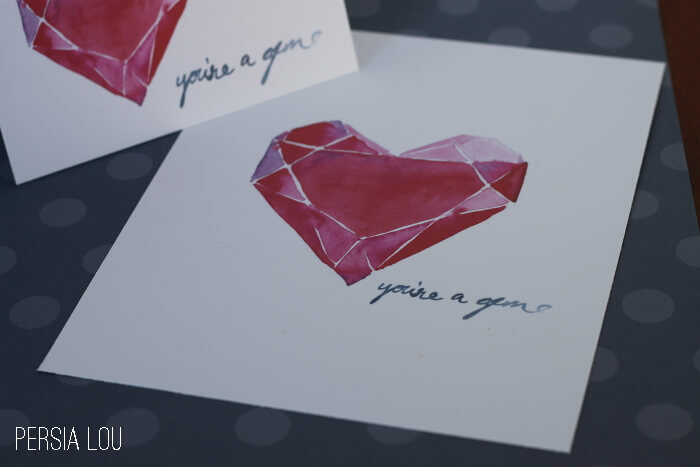 I am doing my own watercolor valentines but I like yours way better… I won&#39;t be announcing that on my blog but I will def list your valentine as another option for people to check out. LOVE LOVE LOVE it! There is NO way I could pass this beauty up, you will be featured tomorrow morning at my Link It or Lump It party. Be sure to stop by and grab a feature button! You mentioned the envelope. Lovely, is it hard to make?